In addition to the many big ticket changes being worked on for GNOME 3.32 like better performance and Wayland improvements, it also marks the project embarking on a big overhaul of their application icons. The GNOME developers and designers have been working to overhaul their app icons and the new guidelines and improvements will begin taking shape with GNOME 3.32.0, due out now in less than two months. GNOME contributor Jakub Steiner of Red Hat who was also involved in the original Tango icon guidelines has been working on this visual design overhaul for GNOME’s icons. The focus of this app icon overhaul is “making good icons more attainable for more apps.” It’s also about modernizing the icons so they more akin to the likes of other platforms where they are more simple and flat these days rather than being very detailed as was popular in the past. The new GNOME app icon guidelines comes with a grid, recommended base shapes, and a new color palette. Rather than forcing developers to spin up to seven different icons for different size requirements of the former guidelines, the new process requires just a full color icon and a monochrome symbolic icon. The color icon is now optimized for 64px size, including support for shipping as an SVG. GNOME also has a new “Icon Preview” application to get started with their icon design workflow, preview it in different contexts, and export as SVG. With the new guidelines, shadows to icons would be applied automatically so the icons can be automatically adapted for the GNOME desktop night mode and similar handling. 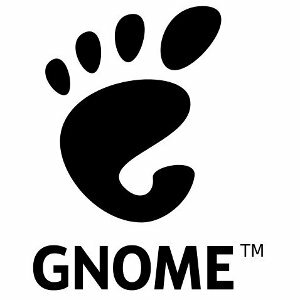 Those wanting to see some of the new icons being worked on and more background information on their decisions around these new GNOME icon guidelines, stop by Jakub’s blog for a very interesting look at what’s ahead. If you are/were a fan of Ubuntu’s Unity desktop environment, Unite-Shell is one of the most promising efforts to date for making the current GNOME 3 stack more like Unity. The Unite Shell is an extension to GNOME Shell for configuring it to look just like Ubuntu’s Unity 7. While it made waves a bit earlier this month, a Phoronix reader reported in over the weekend just how good it looks and works that it’s worthy of an extra shout-out. Among the changes are around the window buttons, title bars, placement of notifications, top panel handling, etc. The current version of Unite Shell also provides Wayland compatibility. The code to Unite Shell is available via GitHub while it’s easily available via the extensions.gnome.org. Enterprises both large and small are increasingly looking to the latest technologies to help gain a competitive advantage. Because of this, every aspect of an organization’s infrastructure — from the network foundation to how apps are managed and served — is under review to ensure efficiencies. It’s also why we’ve seen budget increases on infrastructure components, creating opportunity for infrastructure vendors of all types. Many trends happening now will continue into 2019. For one, businesses are spending heavily on the latest data networking platforms — specifically on the WAN edge. With the increasing interest in public cloud and remote worker models, networks must be re-designed to support disaggregated applications, data and users. Thus, new technologies such as SD-WAN, endpoint management and intent-based networking are of particular interest. Advancements in application delivery and management are also areas in which IT is looking to gain efficiencies. Today’s businesses need to be able to quickly pivot their IT infrastructure to adjust to changes to their business vertical. Popular technology vendors that specialize in virtualization, container management, and data storage have made our list for this very reason. Lastly, today’s business leaders have finally learned to understand the importance of data security within a business. Thus, they expect security to be built in to every aspect of the infrastructure from day one. Security platforms that specifically target cloud, hybrid and multi-cloud architectures are high on everyone’s IT budgetary spending list. Our picks for infrastructure vendors to watch in 2019 is filled with established companies embracing software and service-based options, along with startups offering a host of innovative technologies. Let’s look at the top companies (listed alphabetically) that you should keep a close eye on in the coming year. Check out the hot vendors in other segments of IT in InformationWeek’s full Vendors to Watch package. Apstra (@ApstraInc) is an early pioneer in the new wave of intent-based networking, with software that’s designed to automate design and management of multi-vendor data center networks. In 2019, look for the eager young company to go head-to-head with Cisco. Apstra’s key differentiating factor is a vendor-neutral platform that appeals to many businesses looking to avoid vendor lock-in. Broadcom Inc.(@Broadcom) is most widely known for the semiconductor manufacturing side of its business. However, several recent acquisitions — and near acquisitions — have landed the company on our list. Most recently, Broadcom’s interest in purchasing CA Technologies tells us that Broadcom is seeking to enter the infrastructure market from an infrastructure management software perspective. Thus, the company can continue to sell components to infrastructure hardware vendors while beginning to compete directly with those same vendors on the software side. Cisco (@Cisco) is most famous for its network hardware business, which it dominates year after year. That said, CEO Chuck Robbins is clearing making the necessary steps for the company to pivot to a software and licensing-focused company. Tremendous growth and emphasis on the company’s cloud managed Meraki networking platform is proof of that strategy. Citrix (@Citrix) virtualization and VDI platforms have been popular for years. In 2019, IT organizations that are interested in better managing their customer end devices may be turning to Citrix for what many consider to be one of the best unified endpoint management platforms on the market. CoreOS (@coreos) provides its own Linux distribution and Kubernetes container management stack along with a management console to enable large deployments on varied infrastructure. In 2019, look for CoreOS to be a dominate force in the enterprise. Darktrace (@Darktrace) fuses artificial intelligence with data security. It’s a truly unique approach to cyber security and is winning over enterprise IT security teams that are looking for automated tools to fight back against advanced threats. Dell EMC (@DellEMC) is an IT infrastructure powerhouse with a wide range of compute, storage, networking and virtualization business units. While the merger of Dell and EMC may be more than two years old, many feel the combined organization is finally hitting its stride. As the company looks at becoming a publicly traded company, rumors continue to circulate regarding a potential merger (or reverse merger) with VMware, possibly as early as 2019. ExtraHop (@ExtraHop) sells an appliance that analyzes network data across the infrastructure to give visibility into application performance, availability, and security. The company’s Reveal(x) security analytics platform, launched in early 2018, is gaining traction and will continue to gain customer interest well into the new year. F5 Networks (@F5Networks) has pivoted its core business toward the two hot infrastructure categories of cloud computing and data security. Of particular interest to enterprise organizations in 2019 will likely be F5’s SSL orchestrator and secure access control platforms. Forcepoint (@ForcepointSec) is taking a novel approach to combatting cyber attacks. The company is using what it calls human-centric security. The company feels that the most vulnerable point of attack today is the interaction space “between people and data” and the approach is intended to learn the behaviors of users and protect data assets when those behaviors are altered. Intel (@Intel) is most well known for designing and manufacturing semiconductor chips. That said, it also invests heavily in advanced infrastructure technologies including artificial intelligence, data security and wireless data. Of special interest in 2019 will be the company’s efforts to create an end-to-end 5G product line from the carrier to the end-user device. Lenovo (@LenovoODC) is widely known for its laptops. However, the company has recently made advancements in its data center lineup that are likely to appeal to enterprise customers maintaining on-premises or private data center clouds. In 2019, watch for Lenovo’s ODM+ strategy in the hyperscale market. Lumina Networks (@LuminaNetworks) is riding the SDN wave with a pure-play open source platform built on OpenDaylight. While the company has largely had success with tier-1 telcos, look for large enterprises begin to show interest in Lumina’s SDN platform in 2019. NetApp (@NetApp) is one of many companies that has had to rethink its enterprise product portfolio to remain relevant. In 2018, the company successfully shifted away from its “bread-and-butter” NAS storage options and is now promoting hyperconverged platforms and cloud-connected flash products of interest to enterprise customers. NS1 (@NS1) is a leader in the managed DNS and traffic management space. Most intriguing for enterprise customers in 2019 will be the company’s recently launched Private DNS platform. It’s a self-hosted solution for customers that are seeking to automate and ultimately speed up DNS changes for DevOps teams that seek rapid deployment schedules. Portworx (@portwx) is a pioneer in the emerging area of persistent container storage. The company recently announced the availability of an SDK to give DevOps teams access over how their storage is distributed and managed. Rubrik (@rubrikInc) is a cloud data management company that is largely focused on enterprise backup and recovery. The company recently made news when former Cisco CEO John Chambers personally invested in and joined Rubrik as a board advisor. SwiftStack (@SwiftStack) sells a commercial distribution of the open source OpenStack Swift object storage platform designed for clouds. Specifically, SwiftStack is targeting the multi-cloud data management market. Recent new features for the SwiftStack controller include deterministic placement of data across multiple regions and end-to-end visibility throughout multiple cloud provider infrastructures. Violin Systems (@ViolinSystems) is a flash storage and data management company. It recently acquired the data storage IP from X-IO, which means that Systems will likely begin targeting mid-market and small business customers in the new year. VMware (@VMware) has solidified its place in infrastructure through its hypervisor, virtualization and cloud platforms. Customers seeking to build multi-cloud environments in 2019 will be looking at VMware platforms to manage them efficiently and provide maximum visibility. The recent acquisition of CloudHealth Technologies means that VMware has yet another set of multi-cloud management tools to offer customers. Learn about more hot vendors in InformationWeek’s full Vendors to Watch package.